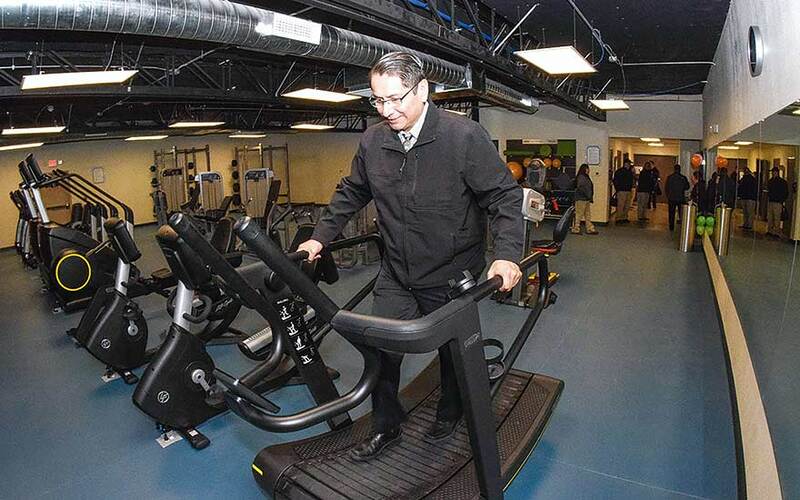 President Jonathan Nez tests out a new treadmill inside Tuba City Regional Health Care Corporation’s state-of-the-art fitness center during a Jan. 11 grand opening celebration in Tónaneesdizí. While the Navajo Nation is moving forward with a new president and Council, leaders in Tuba City are focusing on uplifting people and achieving real results for their community. In just a one-year period, TCRHCC saw a 1.61 percent increase in emergency room visits, according to its 2018 annual report. Emergency room visits jumped from 44,000 in 2016 to 44,708 in 2017. Some of those visits, Bonar says, were for drug overdose. Americans overwhelmingly see drug addiction as a problem in their local community, according to a Pew Research Center survey conducted online from Feb. 26 to March 11, 2018. The survey suggests that nine in 10 Americans who live in a rural area say drug addiction is either a major or a minor problem in their community, as do 87 percent in urban and 86 percent in suburban areas.